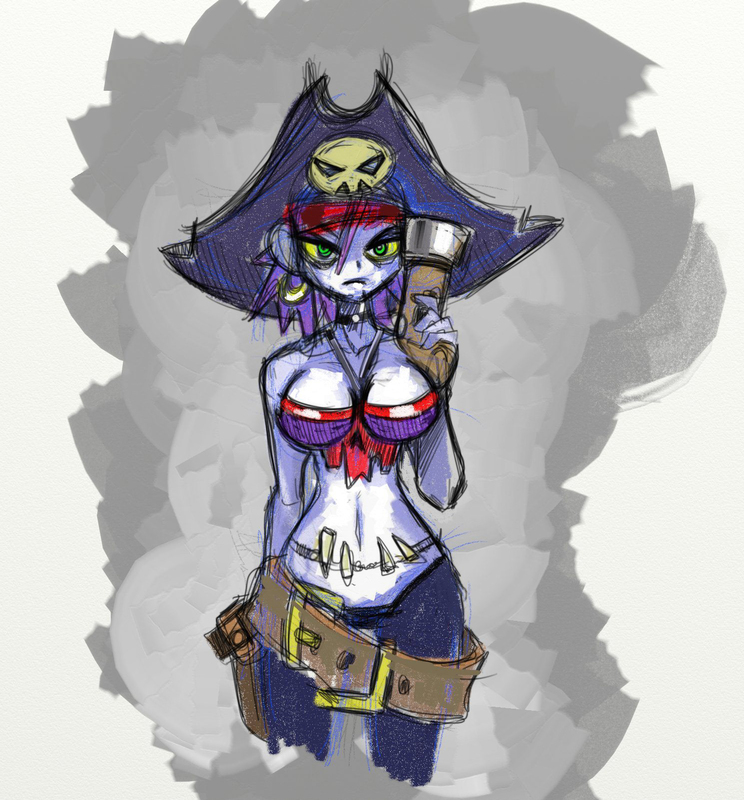 Lo and behold, we've been discovered by a Shantae fan over at Nintendo Life. Thanks for stumbling upon our new website before we got a chance to announce it's existence Armand! You rock! You can all view Armand's original post here, which tells you how to locate us. Why not click back and forth a few times, and see if the internet breaks? Now I'm even more excited for the game to come out. 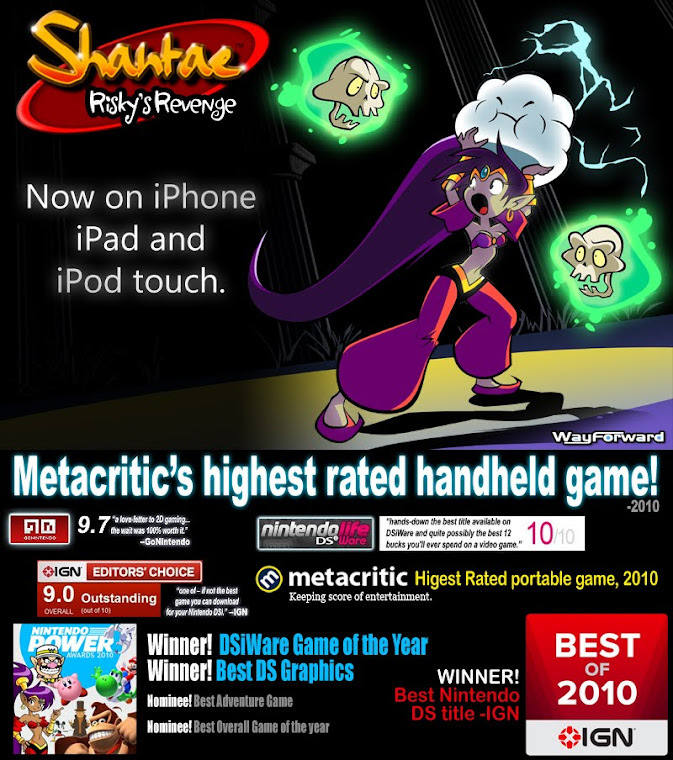 I'm not sure if this will get noticed but I would really like an answer if its not a sensitive issue... but whatever happened to the shiny artwork of Shantae and in particular Risky that was shown in Nintendo Power awhile back? I really loved their new looks, especially Risky, and while I don't mind them going a back to looking closer to how they used to look, it seems such a shame to lose all that awesome artwork. Shantae looked ADORABLE. Maybe it'll be used for the future episodes? As a side note, thank you for creating easily one of the best WarioWare DIY games! I don't want to badmouth other developers, but it clearly had a lot more time and thought put into it than some of the other Big Name Games, so thank you Matt. I love :) shantae risksy revenge but as almost every nintendo game...I am stuck... I made the latte for rottytops brothers but I can not find the boat house she says that they are waiting for me ...where is the boat house?